Irene Cámara of the IACDS Secretariat of the International Association of Concrete Drillers and Sawers has announced that the manufacturer of demolition and associated industries robots, Brokk, as the latest member of the association. Quite an impressive number of companies have submitted applications for the 2019 IACDS Diamond Awards. This time there are two different categories, Job Submission and Product Submissions. Below is the short list of the companies who have entered the awards, with more detailed information being available on the IACDS website. Kobelco Construction Machinery Europe is wholly owned by Kobelco Construction Machinery Co., Ltd. (Japan) with headquarters located in Almere (The Netherlands), and has recently announced its membership of the EDA (European Demolition Association). 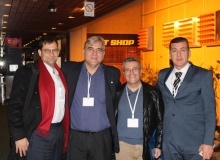 The Serbian Demolition Association (SDA) held in Belgrade on the 28 and 29 November its annual international conference. The main subject was titled, ‘Industry and sustainable demolition or solution’, and drew on the experience of companies from throughout Europe and Serbia. Okada Aiyon Corporation is a Japanese heavy equipment manufacturer which has been providing a broad range of sophisticated demolition equipment since 1938. 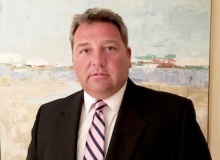 The Concrete Sawing & Drilling Association (CSDA) is proud to announce that Captain Kent Ewing, a retired naval officer, will be its keynote speaker during the association's 2019 convention in St. Petersburg, Florida, from 11-15 March 2019. Premys, one of the leaders in cleaning, asbestos removal, deconstruction and dismantling of structures, whether for buildings in urban areas or for industrial installations, has recently joined the EDA. 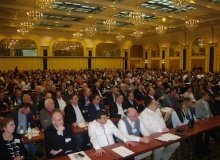 The German Demolition Association will again organise its popular annual demolition conference, with next year being the 25th, with over 900 participants being expected. The Australian construction industry in most capital cities is experiencing a major boom in infrastructure projects. Melbourne and Sydney especially are undergoing several underground rail and tunnel projects which will run for the next 5-6 years. 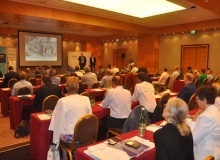 The European Demolition Association, EDA, gathered contractors, manufacturers and associations from the European demolition industry for its annual convention, which was held from 7 to 9 June 2018, in Vienna, Austria. The international association of concrete cutting contractors, IACDS, had a tremendous annual convention in Japan this year. 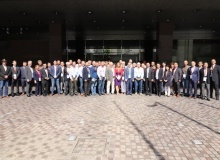 The meeting was organised between 21 to 23 May with great support from Japan’s national association JCSDA, and was the biggest meeting ever held by IACDS. 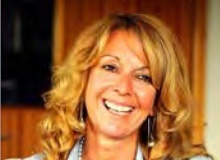 PDi’s Jan Hermansson reports. 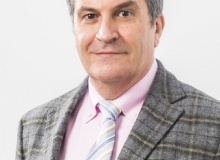 At the recent European Demolition Association’s annual convention in Vienna, Francisco Cobo of the Spanish demolition contractor Deltapunt, and the Spanish association AEDED, was elected the new President of the European Demolition Association. 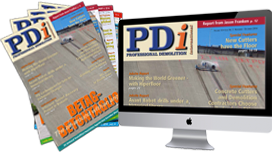 PDi Magazine would like to congratulate Francisco on his new position, and look forward to his columns which will be published in the magazine. Below you will find the first column from Francisco, who is also called Paco. I have to say I returned from the IACDS convention in Tokyo more enthused and more excited about our industry than I have been in a very long time. Firstly, it is a beautiful country and everyone was so friendly and welcoming to all of the different people from the associations from all around the world. 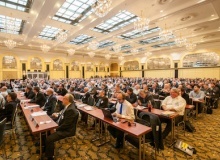 Organised by the German demolition association (Deutscher Abbruchverband), the 24th German demolition conference again proved to be a valuable event to its attendees and exhibitors. At our Annual Convention in Vienna from 7 to 9 June, I will hand over the presidential chain of office to my good friend Francisco (Paco) Cobo. Firstly, I’ll talk about the numbers which were very impressive indeed. CSDA had the highest number of attendees in a decade – up 68 per cent from the 2017 meeting. Did holding it in Hawaii have anything to do with that? I wouldn’t like to say! !